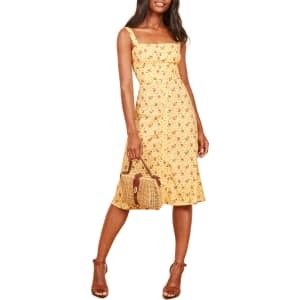 Women's Reformation Persimmon Floral Midi A-Line Dress, Size 0 - Yellow from Nordstrom. Style Name: Reformation Persimmon Floral Midi A-Line Dress. Style Number: 5649761. Available in stores.